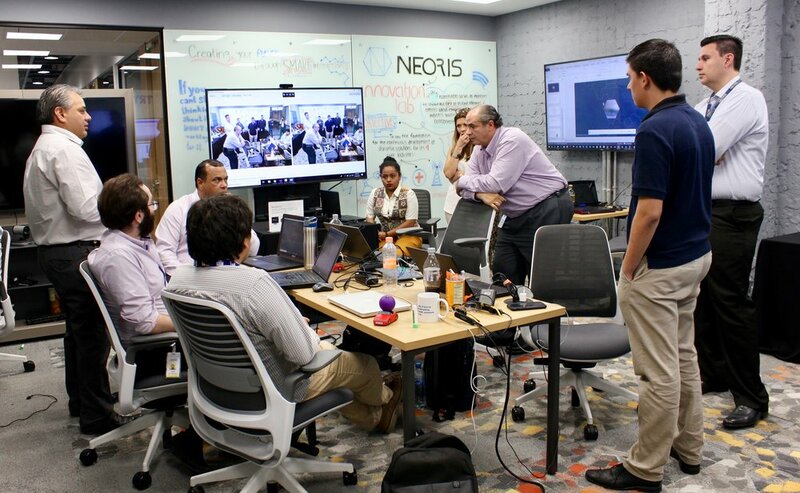 Innovation Labs — NEORIS Corporate WebsiteWe are a global Digital Transformation and Solution integration firm. Enabling innovation means leveraging technologies such as AI and others to radically rethink your business. But staying ahead and understanding the benefits of new capabilities can be challenging. Through our network of digital innovation labs we work with clients to deliver projects that solve complex business problems while delivering measurable results quickly. We partner with clients in Financial Services, Manufacturing, Telecom, Healthcare and other industries to co-create business disruption around specific use cases.